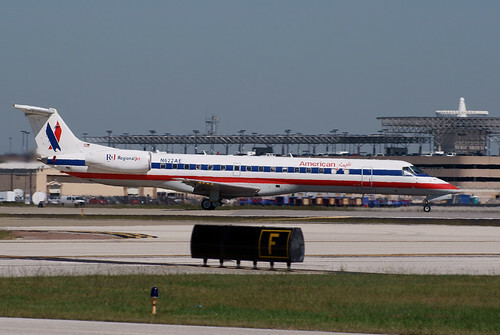 William P. Hobby Airport is Houston's second largest airport, and home to Southwest Airlines which comprise the bulk of commercial operations for Hobby. 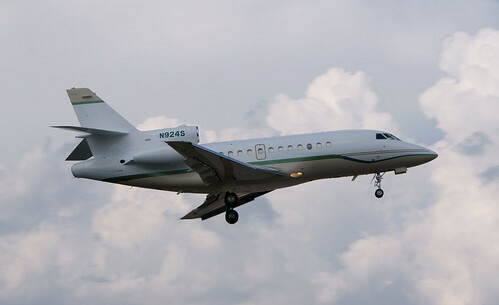 Also, Hobby is one of the busiest corporate aircraft airports in the United States with several FBO's on the field. It has been serving the Houston community for more than 60 years. 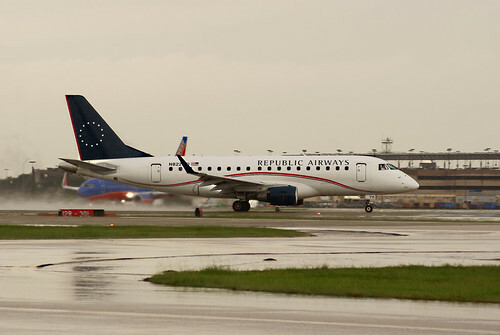 Nonstop or direct service to 31 destinations throughout the U.S.
Over 8.2 million passengers served in 2005 and 48 million passengers through IAH and HOU. Publicly accessible areas that do not require any prior notification to spot. Areas such as parking garages that require prior approval or notification to airport security to spot. Areas that to not require notification to spot, but are at your own risk! You may be asked to leave by Airport security or by police. Restricted area! Do not spot here, or you will be asked to leave by airport security or police. Food / Drink! Spotting sometimes requires a lot of time out in the sun. Make sure you are drinking plenty of water, and get food when you need it. These orange lines indicate where the final approach path of a runway intersect or pass near a spotting area. WARNING: The information provided on this page is intended for the sole use of aviation enthusiasts to properly practice their hobby. HoustonSpotters.net or its members assumes no responsibility for any actions and/or conduct during their hobby practices, or any consequences of following the instructions provided here. 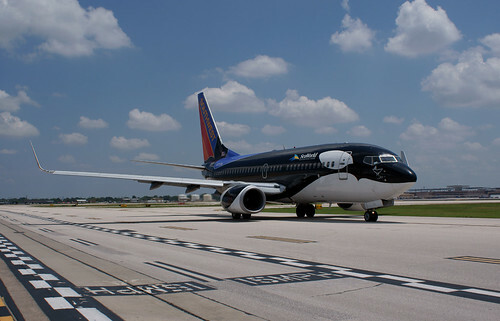 The user acknowledges and understands that aviation enthusiasm can draw attention and suspicion from others, and all enthusiasts are encouraged to act in a respectful and open manner towards law enforcement officers, to carry their ID on them at all times, and to report truly suspicious activity to law enforcement agencies. 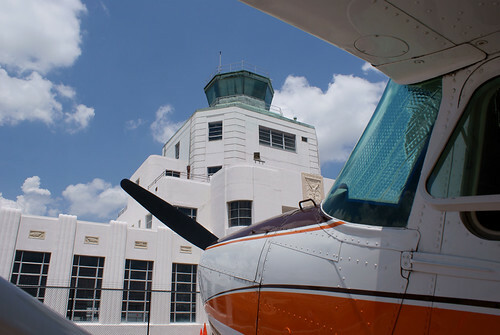 The 1940 Air Terminal Museum is one of the best location to view aircraft operations at Hobby Airport. Admission is $5.00 during normal business hours. There are several benches located on the "back porch" with full views of the field. While all operations can be viewed from this location, the best photographic opportunities will be aircraft landing on RWY 12R, 12L, and 17. Also, runway 17 and it's parallel taxiway run adjacent to the museum offering exceptional close-ups of corporate aircraft. Respect personal property and obey any posted signs. 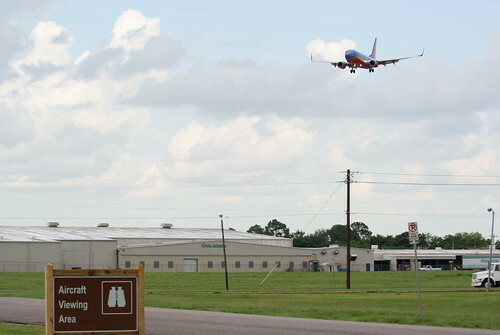 Spotting from behind the fence at the museum does not require prior approval, however, if you have any questions regarding security at Hobby, contact Hobby Security Dispatch at: 713-845-6555. 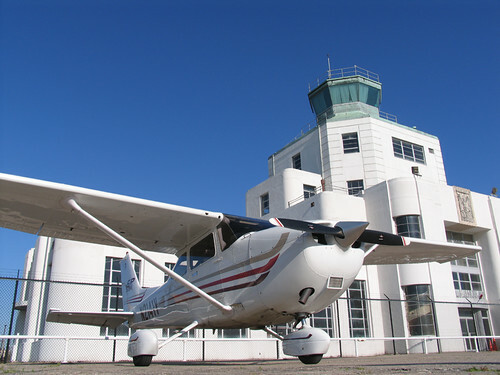 The 1940 Air Terminal Museum provides photographers access to its ramp area on special occasions, usually the Wings and Wheels event on the 3rd Saturday of every month. Additionally, the Museum has special photographic events which can yield unusual access and opportunities. If you are not spotting from one of the locations listed on this spotting guide, then you are likely on private property and should not spot there. Call Hobby airport security at 713-845-6555 with any questions regarding security at Hobby airport. This area has recently been added, and offers a great view of planes coming into runway 30L. No prior notification is required to spot in this area. This area has also been recently added, and offers excellent views of aircraft landing on 12L / 12R as well as runway 17.